November 24th see’s the Thanksgiving Holiday for our friends across the pond. We must admit to not crossing the pond much when it comes to whisky, so we thought when better to try the iconic Wild Turkey than now, especially when we learnt that one in six of us here in the UK will at least have a dram if nothing else to celebrate Thanksgiving is no longer just a celebration for our friends across the pond. Wild Turkey whiskey comes from the distillery’s home in Lawrenceberg, Kentucky, and as it so happens there has been a little bit of remarketing and some new releases too. 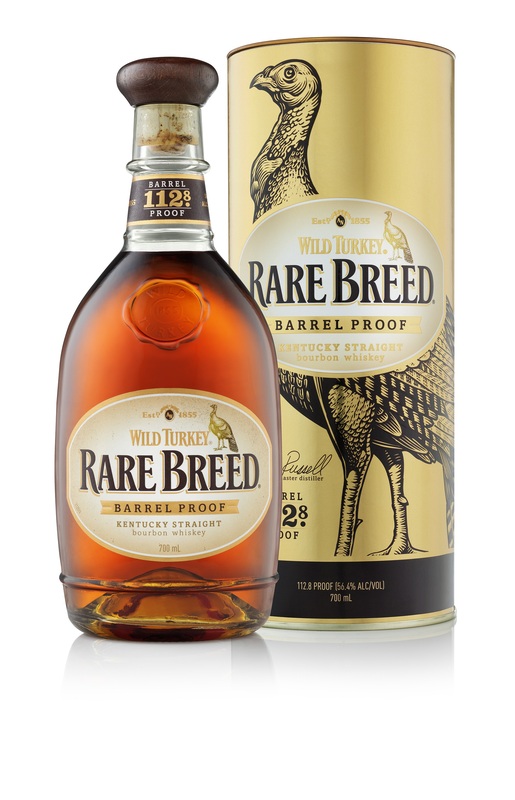 Following its launch in October, Wild Turkey® Rare Breed® is perfect for drinkers who like a bourbon unadulterated and with big bold flavours. This exceptionally rich full-bodied bourbon has sweet notes, spicy characteristics and a long, dried fruit finish, ideal for drinking neat or over a couple of ice cubes with an ABV of 56.4% and priced around £47.95. Those who enjoy their bourbon with just a hint of spice should look no further than Wild Turkey® Kentucky Straight®. Originally crafted as “Wild Turkey 81”, this multi-award winning whiskey has notes of sweet vanilla and pear, with a full and rich finish perfect for enjoying straight or with a mixer with an ABV of 40.5%, and priced at an excellent value for money £23. This is the one we decided to use. There is a further expression, the Wild Turkey® Kentucky Straight Rye® which is less sweet than a bourbon, the big, broad vanilla and spice notes burst through without changing the bold rye taste. Wild Turkey Rye stands up to any mixer and shines through in cocktails with and ABV of 40.5% and priced at £29. formerly known as Wild Turkey 81, being the least expensive and therefore we didn’t need to worry too much if we didn’t hit our cocktails quite on the head straight away. We’ve tried it straight up and we’ve given the most simple of cocktails a go ourselves with an Old Fashion, or Turkey Fashion as we renamed it. Here’s our thoughts on Wild Turkey and as an extra treat some easy to make cocktails as well. If you are throwing a party then you can throw these together or maybe even try to make them as a party game, and see which cocktail tastes the best. Whatever way you enjoy them have a very happy Thanksgiving, we’d love to see and hear about your parties and cocktail attempts, so feel free to tweet us, Facebook us, email us, or even tag us in your Instagram pics! The vanilla flows from the glass, vanilla sugar, vanilla cream, vanilla essence, you can’t miss it, but it’s not a one a trick pony, there’s a creamed coconut note that starts to make itself known, followed by a rush of peaches, oranges and red apples. There’s a note of pear drops and nail polish, before suntan lotion and spun sugar settle in. Sweet as I expected the vanilla is unmistakable, however the peaches from the nose have also pulled through, and it lends this a very creamy, almost Peach Melba effect. There are some very green, fresh oak notes, with mown grass and gooseberries to follow, this tempers the sweetness from the nose and at times completely pushes the vanilla from your mind. There’s a gentle spice just catching the top of the palate which turns into an acetone pear drop note after a while. Far longer than I expected, it’s not overpowering, but there is a lovely vanilla sweetness, that turns almost toffee like, coating the inside of your cheeks. Every now and then you get a splash of peach juice and apple turnover. I am by no means a bourbon expert, far from it, however this was different from what I expected. These days you would struggle to get much in the way of a quality single malt at £23, I found this very pleasant. It doesn’t blow me away, it isn’t the most memorable drink, but it really is something that I would happily sip away at again and again, and being a bit of a bourbon newbie, I can only imagine that is a good thing. A solid bourbon for the beginner, great value, an easy sipper and great in a cocktail. For that kind of money it is worth a try. Ok, so here are some cocktail recipes, you can’t go wrong with the Old Fashioned, or as I mentioned the Turkey Fashion as we renamed it. Super easy to make. We’re pretty competitive here in the Corner so it was definitely me vs Stewart, something that would be easy to replicate at a party or you could just show off your best mixologist moves. This classic cocktail, and speakeasy favourite, was created in America and is the perfect welcoming drink for guests. Freshen up the party with this long serve with a quality Kentucky kick. Rich, spicy and sweet, this classic cocktail is perfect to sip during a cold autumnal evening. Hopefully there’s a cocktail for everyone there, or if it all sounds too hard, go for the cocktail of bourbon + glass +/- ice. Happy Thanksgiving y’all.